Is this the year 1920 or maybe... 3000? The princesses have discovered a time traveling machine in this new amazing game called Time Travel! 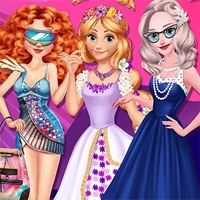 Have a great time choosing the most gorgeous makeup and outfits for the princesses and enjoy this new stunning dress-up game!